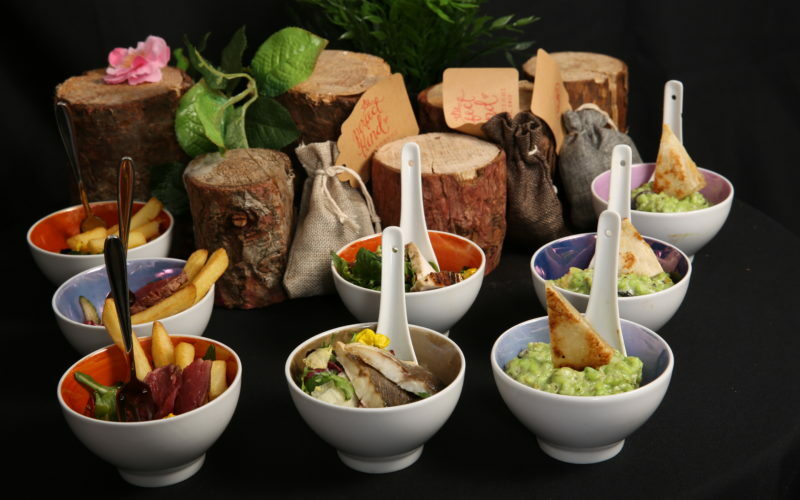 Bowl food dishes are the new canapes! 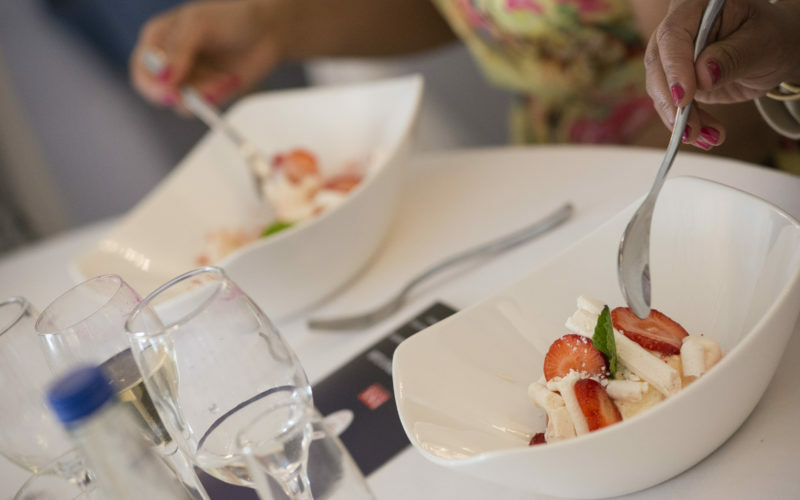 Bowl Food is the perfect choice for informal events, it is a ‘mini’ version of main courses served in small bowls which allow guests to mingle and socialize in a very similar way to a canape reception. This is an increasingly popular choice as it is a more substantial alternative to canapes and something less formal than a sit-down meal. Therefore it’s the perfect choice if you want something a little different for your guests. 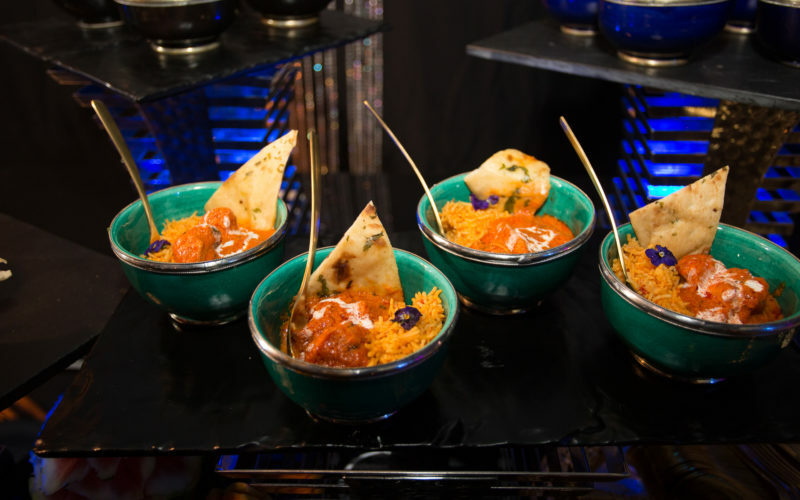 Our Bowl Food catering menu at Sanjay Foods is inspired by food all across the world and we always focus on picking the finest seasonal ingredients. 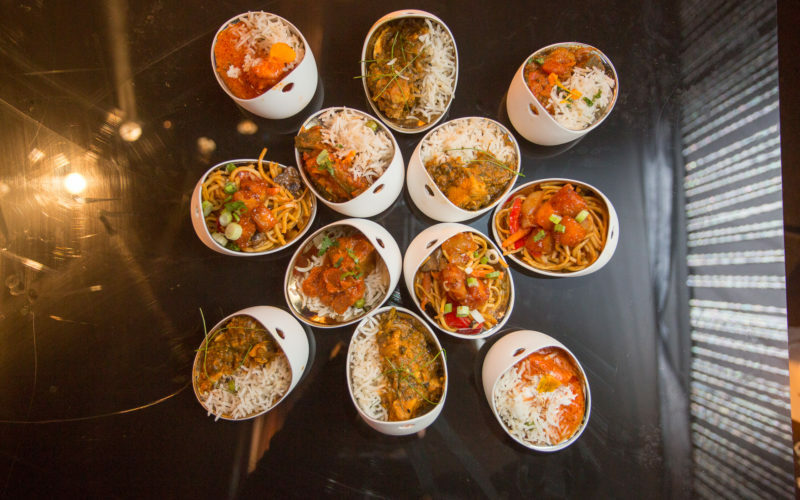 All our bowls will fit into the palm of your hands so they are easy to hold and they are filled with an exciting range of beautifully presented dishes. 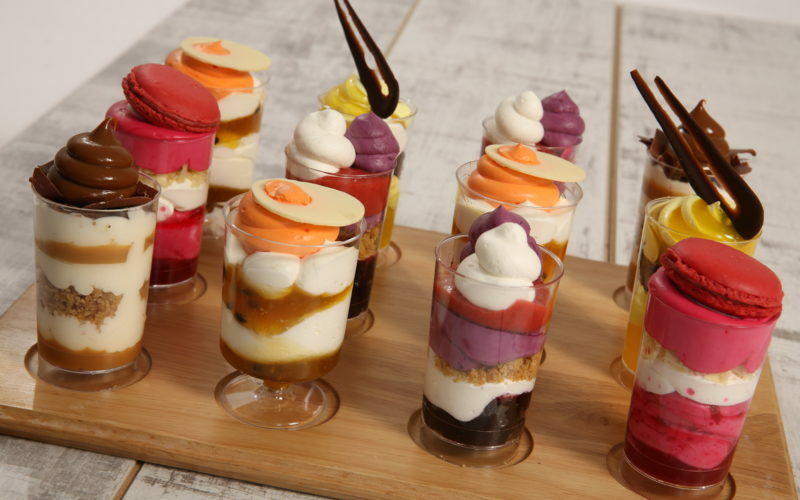 Our chefs enjoy being creative and innovative with the food we design and how we present it. A crunchy combination of Indian crispy wafers (Papdi), boiled potatoes, white chickpeas, finely chopped red onion, and coriander, topped with Greek yoghurt then sprinkled with pomegranate seeds and fine diced raw mango. Mixture of puffed rice, sev, fried pastry crisps, diced potatoes & chickpeas, richly flavoured with chilli and coriander chutney and a sweet and tangy tamarind sauce. Mixture of dry rice, fresh sweetcorn, sev, fried pastry crisps, diced potatoes & chickpeas, richly Flavoured with chilli and coriander chutney and a sweet and tangy tamarind sauce. Indian spiced chicken, boiled potatoes, white chickpeas, finely chopped red onion, and coriander, topped with Greek yoghurt then sprinkled with pomegranate seeds and fine diced raw mango. Cesar salad, drizzled with a balsamic reduction, topped with citrus segments and garlic herb croutons. Served with rustic bread and a lemon wedge. Roasted chickpea & broccoli burrito (V). Served with feta, pine nuts and garnished with baby gem. Served with djon dressing and mixed peppery salad leaves. Drizzled with a citrus dressing. Drizzled with honey mustard dressing. 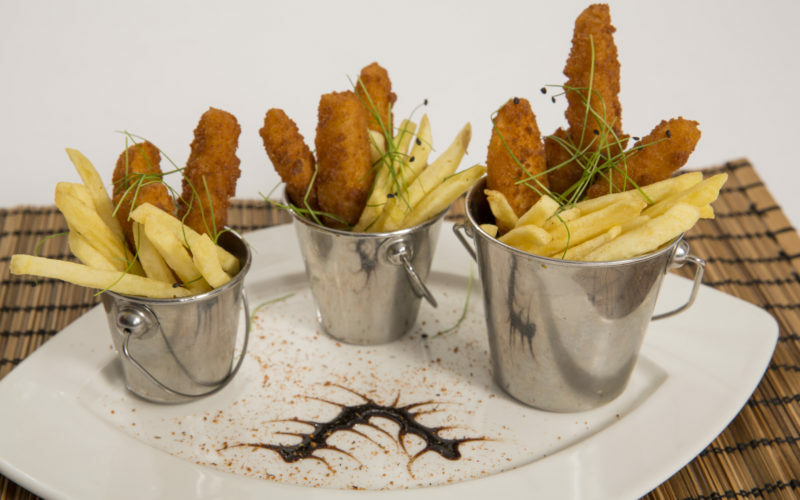 Served with caramelised red onion with hand cut chips. Served with marinated olives on a bed of mixed leaves. Served with a sweet spicy sauce. With baby bok choy, mushrooms, and soy sauce. Served on a cumin and green pea rice. Served with baby rosemary dumplings. Served with pommes rissoles and a smooth mint pea puree. Topped with grana Padano shavings. Served with home- made butter mash served with port and onion gravy. Served with Pilau Rice and Baby Poppadum’s. Topped with shaved parmesan with grilled cherry tomatoes. In a Rocket Pesto with Penne Pasta shaved aged Parmesan & Toasted Pine-nuts. On Basmati and Wild Rice. With Lemon Rice & Coriander, topped with fresh mint yoghurt. Served with a seasonal vegetable skewer served with duchess potato.